Welcome home to your new lavish 3 bedroom, 2.5 bath condo in Emerald Lakes! 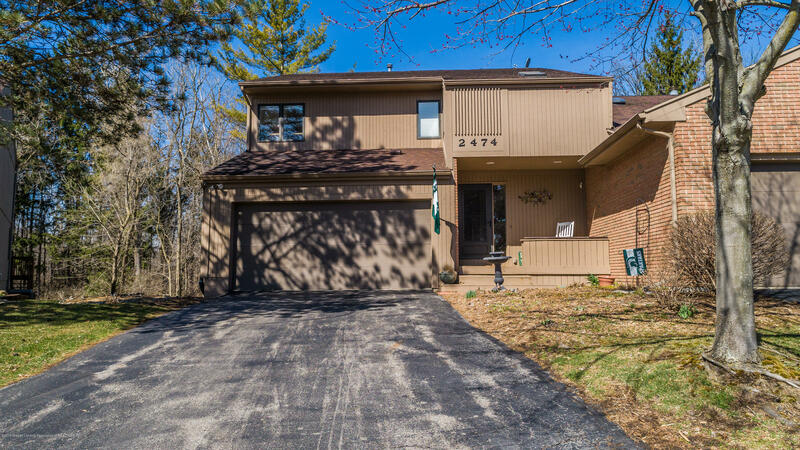 An East Lansing address and Okemos schools, this contemporary two-story condo has skylights in the dining room, a wood burning fireplace, custom blinds throughout and newer mechanicals, including a humidifier on the furnace. Smart Home technology featured here includes a keyless front door entry, Sonos Wifi speaker mounted in the living rooms, and motion detectors that can be connected to a security system. The main level features an open and gorgeously remodeled kitchen with island, breakfast bar, pantry, and plenty of cabinet and counter space. The generous master suite is huge and overlooks a gorgeous landscape! The finished walkout lower level provides additional living space for entertaining.